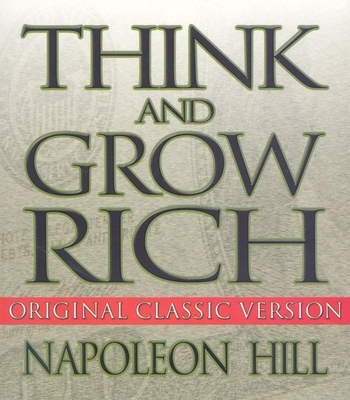 Think and Grow Rich is the number one inspirational classic for individuals who are interested in furthering their lives and reaching their goals by learning from important figures in history. The text read in this audio book is the original 1937 edition written by Napoleon Hill, and while it has often been reproduced, no updated version has ever been able to compete with the original. It has been used as a roadmap to achievement by countless individuals. The 13 Steps to Riches offers the shortest dependable philosophy of individual achievement ever presented for the benefit of anyone who is searching for a definite goal in life. This book has sold millions of printed copies for nearly three quarters of a century. One can gather from the title, that the starting place for wealth is in a person's thoughts and this title is the source for most of today's motivational speakers.. So why not go back to the original source? Napoleon Hill was born in 1883 in a one-room cabin on the Pound River in Wise County, Virginia. He began his writing career at age 13 as a "mountain reporter" for small town newspapers and went on to become America's most beloved motivational author. He passed away in November 1970 after a long and successful career writing, teaching, and lecturing about the principles of success. His work stands as a monument to individual achievement and is the cornerstone of modern motivation. THINK AND GROW RICH is the all time bestseller in the field. Hill established the Napoleon Hill Foundation as a non-profit educational institution whose mission is to perpetuate his philosophy of leadership, self-motivation, and individual achievement.